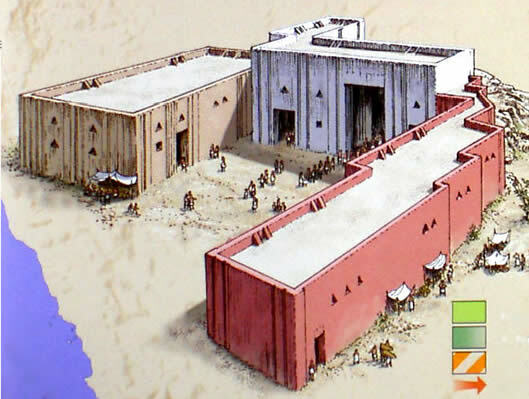 The city of Akkad likely was near the confluence of the Tigris and Diyala rivers, possibly at modern Qadisiyeh. According to legend, armies from Lagash and Umma fought a 100-years war for dominance of lush valley lands. However, Akkadian soldiers later dominated the other city-states. 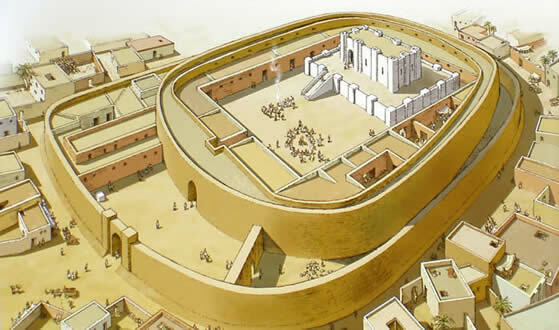 Akkad originally had a close relationship with the Sumerian empire until Akkad gained prominence when Sargon (1334-2279 BC) founded the Akkadian Empire. Sargon (Sharru-kin) meant "legitimate king" and probably was a title he took after conquering Lugal-Zage-Si in the Battle of Uruk in 2271 BC. This resulted in Sargon seizing Sumeria. Some historians claimed Akkad formed the first empire, although others maintained that cities in Sumeria were started earlier. Naram-Sin (2254-2218 BC) expanded the empire and was known as "king of the four quarters" (king of the world). He launched campaigns against foes in Ebla and the Zagros Mountains (the Gutians and Lulubi). 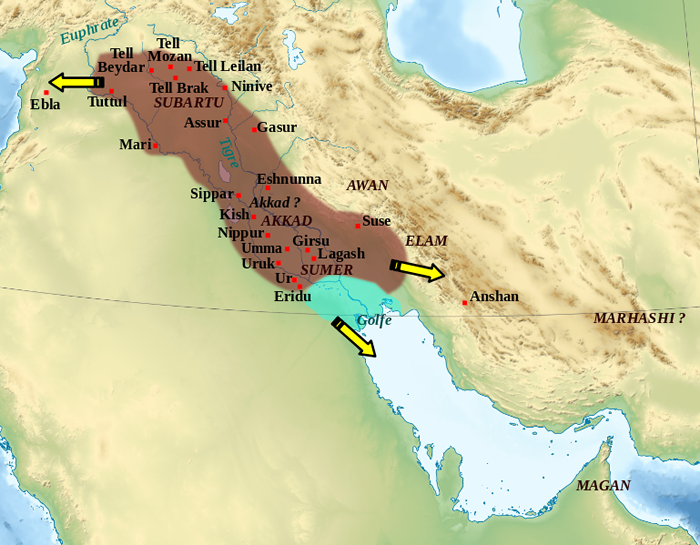 Gutians destroyed Akkadian power in 2154 BC. After the collapse of Akkad, two major powers emerged in the region; they were Babylon and Assyria.